Niecy Nash poses during the 24th Annual SAG Awards Nominations Announcement at SilverScreen Theater at the Pacific Design Center on December 13, 2017 in West Hollywood, California. 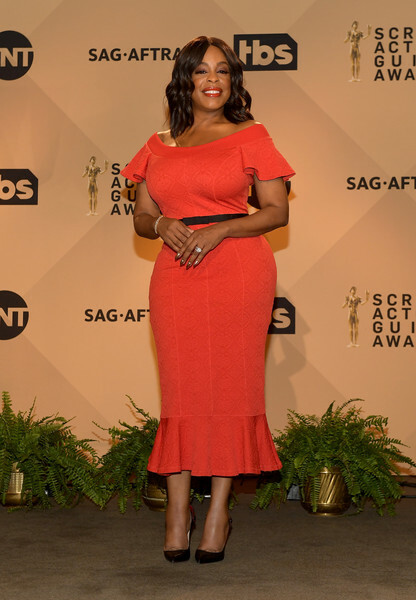 Niecy Nash charmed in a red off-the-shoulder dress with a fluted hem at the SAG Awards nominations announcement. Niecy Nash paired her dress with pointy black pumps.